Today’s news review looks at analysis of house prices near good schools and school funding. On Sunday, 19 March, we published analysis on the link between house prices and good schools. It shows that house prices near the best-performing 10% of primary schools are 8% higher than those in the surrounding areas. It was covered by the Sunday Times, Sunday Telegraph, the Sun and the Sunday Express, which emphasised that parents have to pay up to £19,000 more to live near a good primary school and £16,000 more to live near a good secondary. The analysis underlines the existing problem of ordinary parents being priced out of the best schools, and provides further evidence of the need for more good school places in more parts of the country, which the proposals in our Schools that Work for Everyone consultation seek to address. With almost 1.8 million more children in good or outstanding schools than in 2010, more families are able to secure a good school place for their child than ever before. However, for too many young people their chances of success still depend on how much money their parents earn and where they can afford to live. 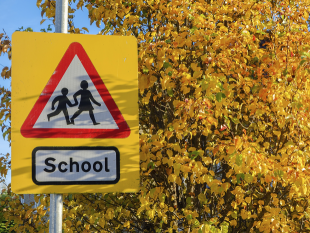 This new analysis sheds a light on how far selection by house price is restricting ordinary parents’ access to the best schools. We want to end this unfairness and our proposals will create more good school places in every part of the country, so every child can have the excellent education they deserve. Today (20 March), the Times ran an online comment piece by Angela Rayner, who inaccurately suggested that the Department for Education has rowed back on school funding commitments by not protecting the amount of funding that follows children into school. The department is delivering on the government’s manifesto commitment that the amount of money following a child into school will be protected and that as the number of pupils increase, so will the amount of money in our schools. School funding is at its highest level on record at more than £40bn in 2016-17 – and that is set to rise, as pupil numbers rise over the next two years, to £42 billion by 2019-20. We are consulting schools, governors, local authorities and parents to make sure we get this formula right. The consultation will run until 22 March. School funding is at its highest level on record at more than £40bn in 2016-17 and is set to rise to £42bn in 2019-20 with increasing pupil numbers. Under our proposed new funding formula, schools will help end historical unfairness so schools are funded according to their pupils’ needs, rather than by their postcode, with more than half set to receive a cash boost. Of course we recognise that schools are facing cost pressures, which is why we will continue to help them use their funding in cost effective ways without affecting educational outcomes, including by improving the way they buy goods and services. We are consulting schools, governors, local authorities and parents to make sure we get this formula right, so that every pound of the investment we make in education has the greatest impact.